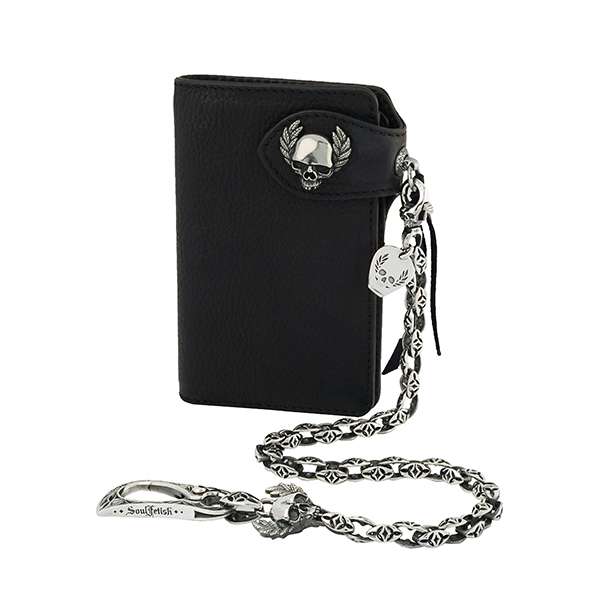 Silver wallet chain composed of a locker, the skullaurier and a mediator engraved with SoulFetish logo. 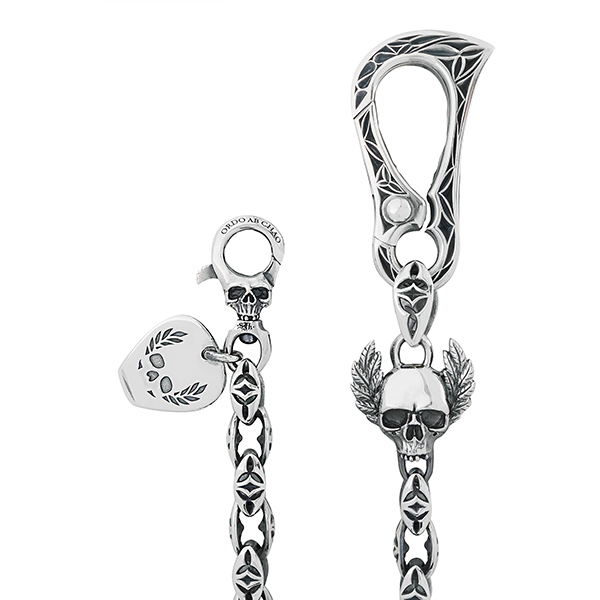 An item full of details. Wallet sold separately.